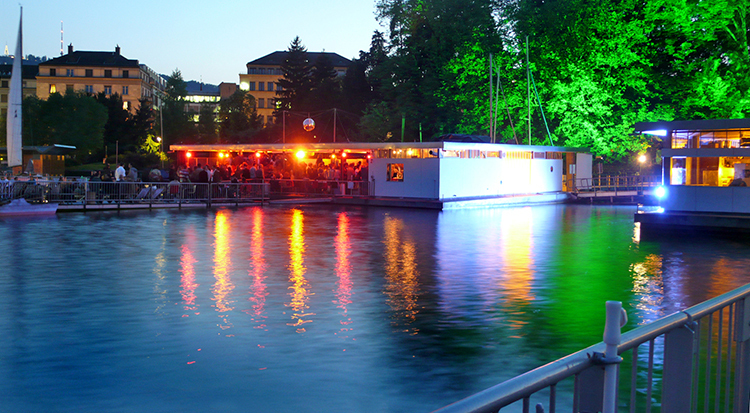 One of Zurich’s badis, Seebad Enge, at night. Credit: Thomas O. Maurer. From “Everybody Into the Pool!” by Jessica Bridger, in the June 2015 issue, featuring Zurich’s beloved public bathing places called badi.